Kindle Winner Announced for August! Throughout August we have been running our Kindle giveaway competition, and just like in July, we asked people if they would post nice things about Gallereo on their blog, Facebook or Twitter. Being a small company with a small marketing budget, we can use all the help that we can get to spread the word about what we do. We had yet another outstanding response to the giveaway, with lots of blogs, tweets and Facebook posts, so a big thank you to everyone who entered this month! We're extremely grateful for all of your efforts. Just like last month, we generated the winner by assigning all entrants with a number as the entries came in. 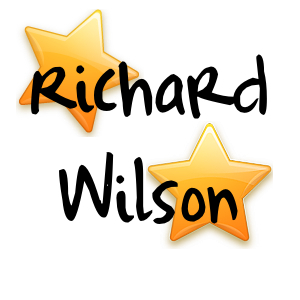 We then asked the random number generator at Random.org to pick a number from our sequence, and Richard Wilson's name came out of the hat. Richard did a spectacular review of Gallereo on his website, The Rewind Podcast so thank you Richard, from everyone here at Gallereo. We really hope that you enjoy your Kindle!